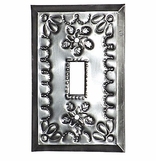 The natural tin home accessories you'll find in this section include punched tin mirrors, polished tin switchplates, shiny luminarias, galvanized tin products, and many more Mexican tin home accents. 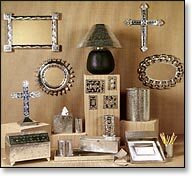 Natural tin metalwork has been a steady favorite decorator item in Mexico and the Southwest since Colonial Mexican times. 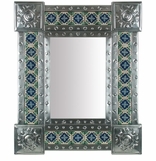 This assortment of metalcrafts from Mexico will accent any southwest or rustic decor. 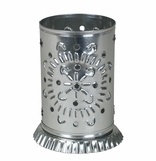 All of our Mexican metalcraft items are authentic creations handmade by tin artisans in Mexico.